It’s amazing how much a change in weather can effect my skin, and it’s never more noticeable than at this time of year. The cold winter air mixed with central heating indoors plays havoc with my skin, drying it out and leaving it lacking in radiance. Over the years I’ve tried a number of products all promising to revitalise my skin, but it’s only recently have I felt in control of the season. This winter I have found some amazing products that have really helped my skin survive through the harsh changing environments, so I thought I would share them with you guys. I am starting with some products that have been in my skincare routine for years now and never fail to disappoint. I moisturise my skin everyday after showering morning and night, and always use The Body Shop Vitamin E Creams. I discovered they worked best for me a few years back and have stuck by them ever since. I use the night cream before bed and the intense day cream for dry skin during the day. I used to use the regular day cream but found it wasn’t enough during the winter months, I was still getting dry patches around my nose. So I switched to the intense day cream instead. Since using them everyday my skin is a lot more consistent and stays hydrated. 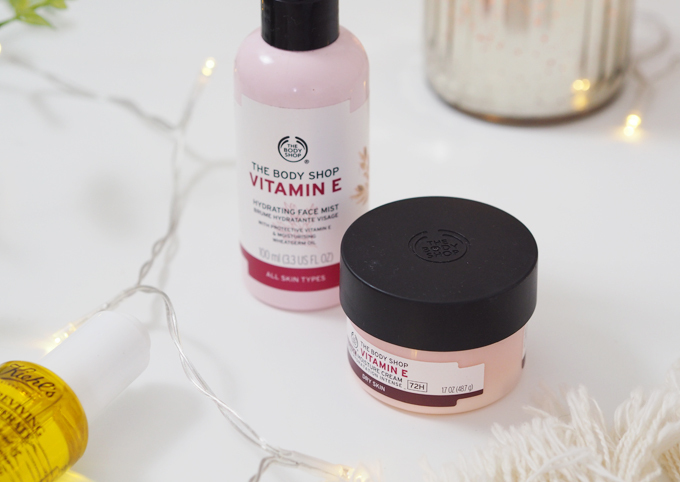 I have recently discovered another product from the Body Shop Vitamin E range, the hydrating face mist. This beauty is life saver in the winter months, I use a few spritz throughout the day when my skin starts to feel dry for an added boost of moisture. When it comes to everyday primers, I find the Mac Natural Radience Base Lumiere really easy to wear and very hydrating. It doesn’t dry out my skin like some previous primers have and creates a beautiful dewy base to apply my foundation. If I had to choose one product from this post that I couldn’t live without it would be my Kiehl’s Lip Balm. This little tube quenches my lips for hours and leaves them soft and soothed, preventing them from cracking. Although I found it a little pricey for lip balm at first, (£9.50 for 15ml) I now think its totally worth it. I buy a new tube every 3-4 months and it out shines any other lip balm I have ever had. Strong words I know but it’s bloody fab. Another amazing Kiehl’s product is the Daily Revive Concentrate. I use a few drops in the morning after cleansing and before moisturising for a real boost of goodness. 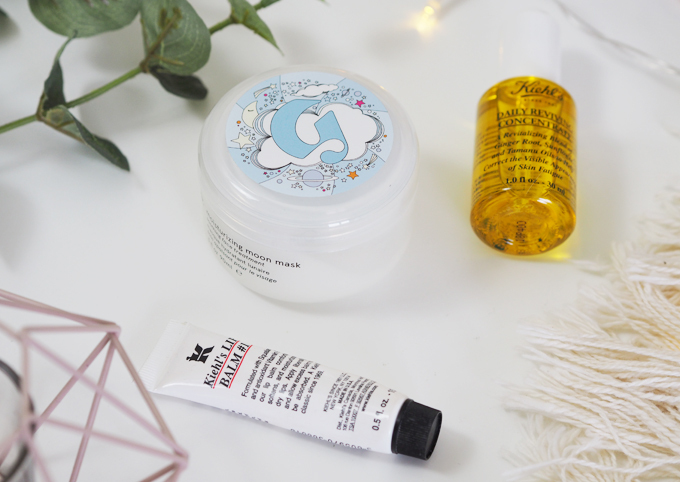 The Glossier Moon Mask* is a new addition I’ve been trying out this winter, and I have to say I love it! I’d heard many good things online about this product, and I wasn’t disappointed. I love using face masks but usually find they dry my skin out, this does the opposite. The rich smooth cream leaves my skin feel nourished and fresh after 20 minutes soaking in. The last essential I wanted to rave about is the Palmers Coco Butter Formula hand cream. I use this every day pretty much every time I wash my hands as I get such dry cracked skin on my hands in the winter. 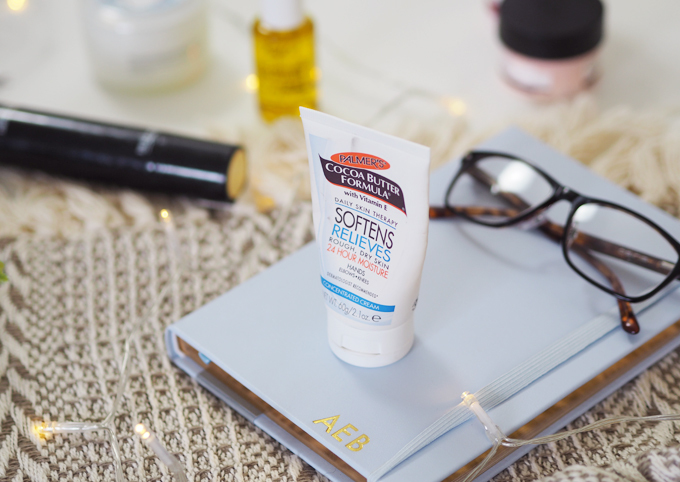 This is the best hand cream I have come across for lasting hydration, plus it smells divine! If like me you suffer in the cold weather from dry hands, this product really helps and its a great travel size to pop in your hand bag for use anytime. 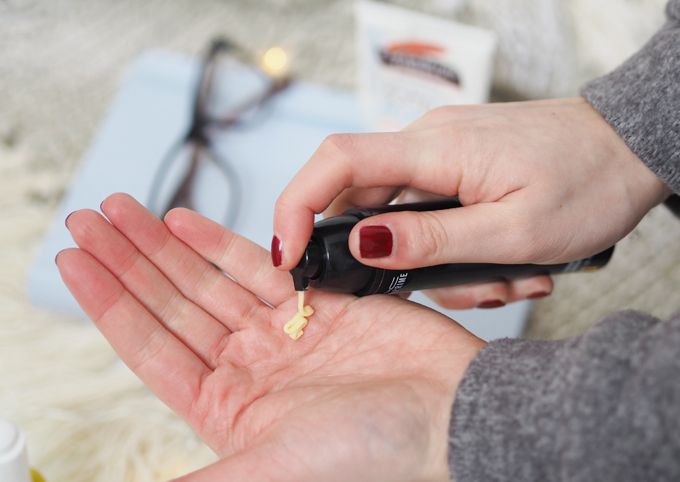 There you have it, 7 everyday skincare essentials you need to check out this winter! These products really work for me, but I always love trying out new products. 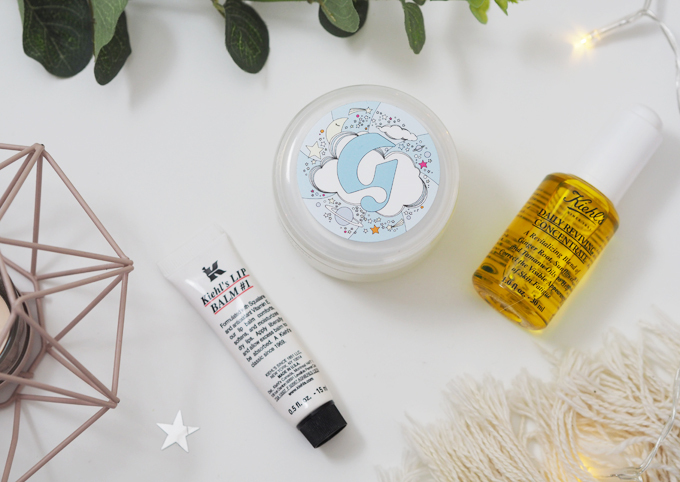 What’s your favourite winter skincare product at the moment? Share your recommendations below! Omg yes its the best lip balm I have ever tried! Hope you lov eit as much as I do!